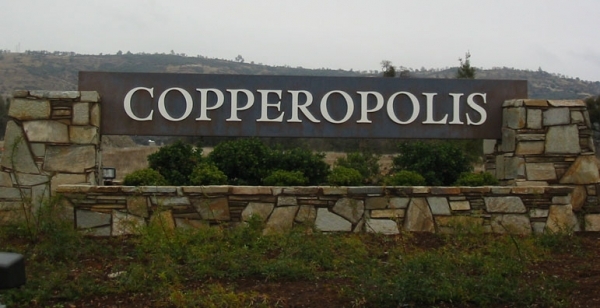 This entrance sign to the town of Copperopolis was created to best suit the surrounding area. Made with the best materials this sign is built to withstand the test of time. 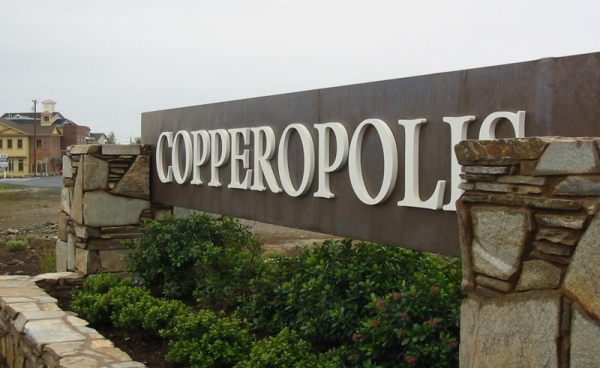 This sign was built with the Copper background 1 inch thick individual cut out pvc letters. Stud mounted. The monument was provided by customer. The layout and the installation was all done by SIGNCO!